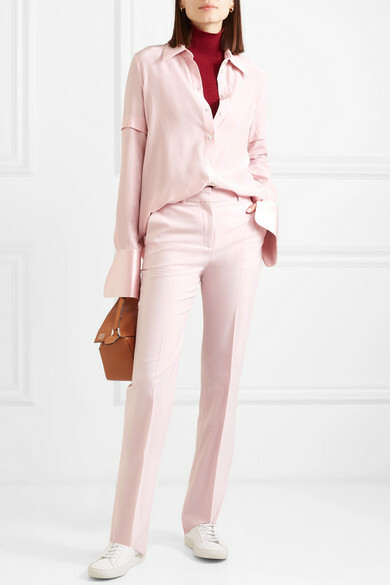 Victoria Beckham proves that pink can be just as empowering and sophisticated as any other shade a woman can wear - the designer's been spotted in it top-to-toe lately. 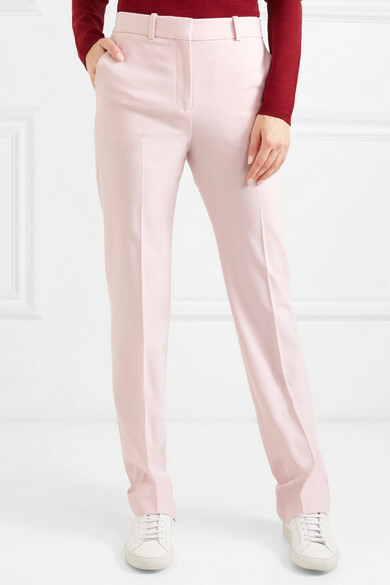 These pants are classically tailored from a stretchy woven fabric that's spun with plenty of wool for resilience, and finished with sharp creases through the straight legs. 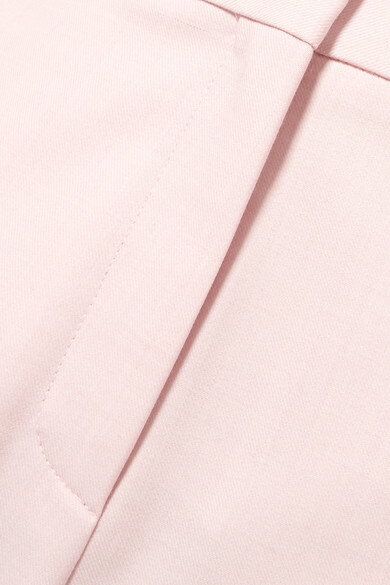 Style them as intended with this shirt in the same pastel hue. Shown here with: Victoria Beckham Sweater, Common Projects Sneakers, Jennifer Fisher Earrings.